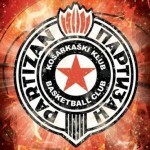 Partizan won against Mega Bemax 89 – 102 (23 – 21, 21 – 30, 16 – 22, 29 – 29) in Sremska Mitrovica in Round 8 of ABA League. Looking into points by quarters, interesting fact is that Partizan scored more than 20 points in every 10 minutes of the game, while Mega only didn’t score more than 20 in the third quarter (16). And also judging by the whole game, anyone could see that this was an interesting game, with lots of points and lots of successful attacks but defense was really invisible here. This type of games are usual for team from Belgrade this season, so Miroslav Nikolić’s team was controlling the rhythm of the match. 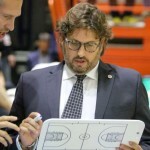 Most of the points were scored near the basket by both teams and team whose head coach is Dejan Milojević had more shots in this game, and of course more missed shots but they were also jumping more in offence and that is why they also scored lots of points (89). In Partizan, the best scorer was Nigel Williams-Goss with 23 points and he added 10 assists. Vanja Marinković scored one point less (22), while Novica Veličković and Patrick Miller scored 16 points each. Veličković also had double-double like Williams-Goss, because he had 11 rebounds. Strahinja Gavrilović finished the game with 10 points. For Mega Bemax, Dylan Ennis finished the match with 26, Goga Bitadze with 19 points and 10 rebounds and Kostja Mushidi and Nikola Rebić with 11 points each. This one was the fifth victory for black and whites while team from Sremaska Mitrovica have 3 wins and 5 losses. 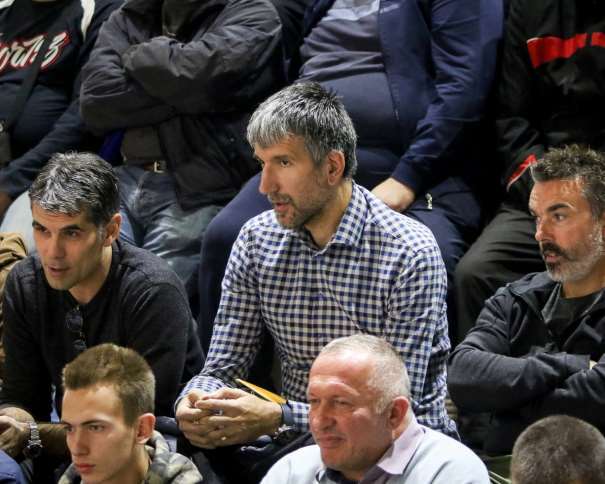 Before this game, Partizan’s head coach “Muta” Nikolić said that his team have an extremely difficult schedule because on Monday they lost against Red Star in ABA League and on Wednesday they hosted and lost against Lokomotiv Kuban 83 – 93 in EuroCup. This was their third game this week, but black and whites managed to find a strength and win in challenging game against young team of Mega. 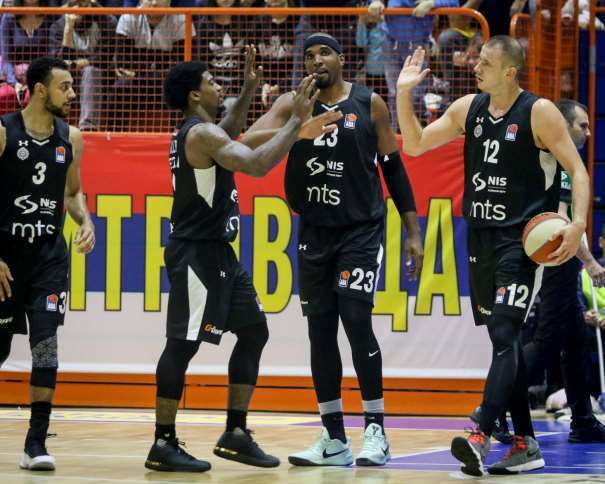 In the first quarter, both teams played at the similar level and home team finished it with 2 points lead (23 – 21), but as the score in the end shows, Partizan had more successful actions as they continued the game. The second and the third quarters was key parts of the game. In those 20 minutes team from Belgrade was unstoppable in attack and defense was solid, better than in some previous games, but offensively they were more powerful than their opponent. In the last part of the game, Mega played well and the score was 29 – 29, but Dejan Milojević’s squad didn’t have enough strength to turn the match around and win. In the end Partizan was the one who celebrated and that was refreshing after two losses this week.